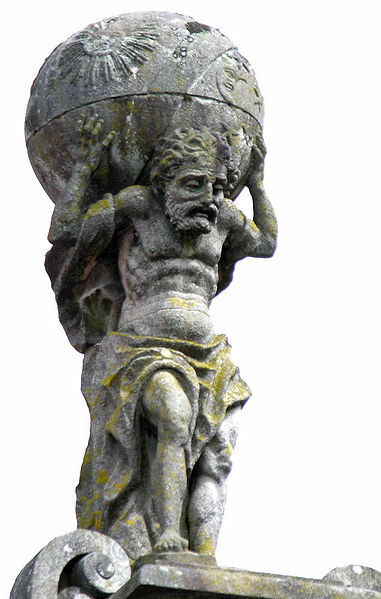 In Greek myths the giant Atlas was punished by Zeus to hold the heavens apart from the earth for eternity. His crime was to side with his brother Titans in their war with the Olympians. A small compensation maybe his modern day fame as the etymological source for the word describing a collection of maps. Most dictionaries agree that Atlases get their name because they were frequently adorned with an illustration of Atlas carrying the earth. The Farnese Atlas became an iconic image, repeated on many Dutch cartographical collections and thus lending the tortured giant’s name to the whole work. But this overlooks another figure from classical mythology who also has a claim for naming rights. King Atlas of Mauretania was a wise philosopher, mathematician, astronomer and supposed creator of the first celestial globe. One of the greatest map makers of the age, Geradus Mercator, certainly subscribed to this version. The Mercator-Hondius Atlas of 1605 eschews the Farnese Atlas and, instead, depicts King Atlas flanked by figures represent the continents.